Mostly famous for having made effectively creepy slasher Candyman (1992), British director Bernard Rose’s career since has seen him tackle the life of Beethoven in Immortal Beloved (1994), as well as twice adapt Tolstoy for the screen – a lavish Anna Karenina (1997) followed by the contrastingly low-key Ivansxtc (2000) – so it seems only logical that he eventually turn his attention to The Kreutzer Sonata, the Russian’s famously notorious tribute to the eponymous work by the German composer. Artistic notoriety, though, seldom lasts long, and though one can argue that many of the overriding themes of the novella happily abide, if there is a major flaw with Rose’s film then it is that at its foundations the original story simply fails to shock today in the same way it did on its publication over a century ago. As with Ivansxtc, which transposed The Death of Ivan Ilych from Tsarist Russia to modern-day Los Angeles, we are once again situated in affluent Beverly Hills, this time around in the spacious mansion of Edgar Hudson, director of his family’s charitable foundation and whose life is divided somewhere between apparently pious philanthropy and schmoozing with the city’s socialite set. As the film opens, though, he lies distraught on his bed having committed an as-yet unspecified act, apparently inspired by a performance of the Beethoven sonata, and which has caused him to recollect the history of his relationship with pianist Abby, who also just happens to be his wife. Through flashbacks we see how their relationship came about: they meet at a cocktail party: he single and on the prowl, she attached but unmistakeably interested. He succeeds in seducing her away from her then-partner, and the two become involved romantically, leading to her eventually falling pregnant. The demands of childbearing force her to abandon her burgeoning career as a concert pianist for which she begins to harbour resentments, straining the couple’s relationship and leading to Edgar proposing hosting of a charity piano recital to appease her. Beethoven’s Kreutzer Sonata is chosen, a duet with which she begins to rehearse with violinist Aiden, who an increasingly paranoid and frantic Edgar suspects she is conducting an extra-marital affair with. This exposition offers, stripped of the setting and more minor details of Tolstoy’s novella , offers up one its main themes: the apparent incompatibility between monogamy and long-term sexual fulfillment. Through a series of increasingly bizarre internal monologues, we hear Edgar’s obsessive commentary on the rise and fall of the couple’s relationship: from their early lust-filled encounters – shown in surprisingly graphic detail – through to his more-and-more paranoid ruminations on her perceived dissatisfaction and possible infidelities. Given the circumstances of their initial coming together, these thoughts are understandable, and in one of the film’s more perceptive moments, we see Edgar appear to observe his wife giving Aiden the very same look of desire that she gave him all those years before. No sign, though, of the theme of sexual abstinence, central to Tolstoy’s writing of the novella, but apparently incompatible with Rose’s story. Its absence is noticeable, and renders hollow much of what remains. As with adapting, say, a Kafka or a Nabokov, the key issue with Tolstoy is in trying to evoke the original tone, and Rose’s film seems torn between this demand and that of telling the story, to the point where it at times feels like two separate films. The first is the more straightforward passive observational film charting the couple’s courtship, played at a steady pace and naturalistically acted, which takes us through the essential storyline. Like Ivansxtc, the eschewing of film for use of DV cameras does an effective job of capturing the intimacies and details in almost fly-on-the-wall documentary fashion, though the overly shaky handheld work suggests a rather excitable fly. The easy charm of Danny Huston, who excels is this kind of role, and the coy sexiness of Elisabeth Röhm create a very watchable pairing. Interleaved between these more laidback scenes, though, are moments of light farce, first-person narration placing us somewhere inside Edgar’s frayed mind through which echo the notes of that damned sonata, apparently sending him off somewhere near David Helfgott territory. Their presence successfully convey the sense of an unreliable narrator and provide both both oddly comic moments reminiscent of Curb Your Enthusiasm as well as darker insights into Edgar’s soul, or absence thereof. However, though on the whole blending into the storyline well, the dichotomy between these scenes and the more observational ones makes the film feel tonally uneven; funny in places, but not satisfying in its entirety. Given the slew of films emerging from American independent cinema featuring highly superficial and almost wholly dislikeable characters whom we are apparently supposed to identify with – prime among them the characters in Jonathan Demme’s painfully irritating Rachel Getting Married (2008) – it is pleasing at least to see a film where repulsion is the desired reaction to the protagonist. 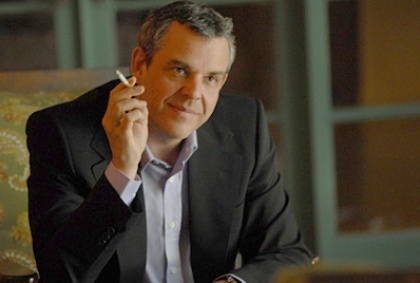 Sure, Danny Huston’s Edgar is charming, but so too is he shown to be philistine and ultimately solipsistic, a man who sees in a worthy charity event only an opportunity to set a trap for his wife. Viewed by Los Angeles society as a benevolent do-gooder, as we penetrate his psyche he comes across increasingly as a selfish, misogynistic sleaze. This, though, is as much comment the film has to make about its character, who ends up just a little too two-dimensional. In placing the film in modern-day USA, the film goes some of the way to replacing the mores of nineteenth century Russian society with twenty-first century American ones, but it does have the effect of making the denouement seem unnecessary – surely quickie divorce would be the simpler outcome in L.A.? Ultimately there isn’t enough in Rose’s film to replace what has been jettisoned from Tolstoy; in removing the thesis of sexual abstinence from this story of the unknowability of women, this tale of the fall of a charming misogynist falls a little flat.